Spence Chrislu worked as a recording / sound / remix engineer for Frank Zappa & the Zappa Family Trust until 1998. Frank Zappa, Steve Schaffer, Michael W. Smith, Dan Harrell, Kent Hunter, Michael Blanton, Todd Yvega, Bob Vogt, Mark Tucker, John Robinson, Johnny Potoker, Mark O'Connor, Marty McCall, Gary Lunn, Wayne Kirkpatrick, Paul Jackson Jr., Jerry Hey. "The motto around here is 'Anything, Any Place, Any Time, For No Reason At All," laughs Spencer Chrislu, Zappa's in-house engineer. "Whatever keeps things fun and loose and interesting, and it can change instantly. I love the variety. Frank is outrageously creative. All day long, 24 hours a day, thoughts flow in and out of his mind, and it's my job to try and flesh them out. He'll go up and take a nap and come back down to tell me of one of the things that came to him in a dream. That's how he came up with the Hoop- it came to him while he was asleep." Born in Minneapolis, Chrislu followed a path that meandered to Laurel Canyon through Nashville (where he engineered religious records). Struck by the clarity of Steely Dan albums, Spence says that from childhood he simply wanted to be "the guy who made things sound good." Two years ago, following the departure of Zappa's long-time engineer Bob Stone, Spence was recruited, on the recommendation of Todd Yvega, to man Zappa's Neve console, where he now sits ten hours a day, five days a week (he also does free lance scoring and mixing for such television programs as Sisters). "There was no big learning curve here," Chrislu says. "Just about a week. My first test with Frank was to see if I could build the sound in the digital domain of his piano room with a wood floor and plaster walls that go up about 20 feet a lot of hard sound. Then we spent some time remixing Ensemble stuff to see if I had an ear for avant-garde classical music. Then we did some rock and roll for You Can't Do That On Stage Anymore. I did a remix while he was gone, and he liked what he heard. So he was very happy, and I was very happy, and we've been rolling along ever since." Though sometimes Frank is at his side from the first fader move, he generally leaves him alone on initial mixes. "Frank and I both listen to things very much the same way," Spence states. "Neither of us likes drums coming off the top of a mountain. We like a drum to sound like a drum, a band to sound like a band. I go to the symphony just to keep my memory refreshed on what live acoustical music, in a real air space, sounds like, so that when I get back in the studio, I can try to recreate that. I love imaging in a sound field. I love placing images in specific areas, areas not only left to right but also back to front. This new six-channel material in and of itself is an imaging system you can only dream of." Having sat at SSL boards before, facing Frank's digital Neve with "flying fader" technology was not that disorienting for Chrislu. "I just had to learn the layout," he explains. "On the SSL, you have 'Float Function,' which is called 'Changeover' on the Neve. But basically, all consoles work the same." In particular, he likes the Neve's ability to memorize settings for EQ, routing, panning, whatever. "We have been able to standardize settings for where reverbs come up, where tape comes up, and on which faders," he explains. "That's made it possible to have good linear alignment between the years. The '88 band all tends to sound one way, because it was recorded the same. The same with the '82 band or any of the others. So I can take anything from one of those groupings with a set EQ, just dial it up in less than an hour, and it'll be close to right. AH we have to do is tweak for a particular song or venue. The track layouts are the same. Ike Willis' vocal is here, Frank's guitar is there. It comes up the same, with the same echo settings, everything. So I save that much time, and we can get right into mixing and balancing." The hardest part of the job is what everyone who works with Zappa indicates: "He works harder than anyone else I've ever worked with," Chrislu smiles. "Don't get me wrong we have a blast and take plenty of breaks, but he works harder, listens harder, and concentrates harder than anyone else I've ever known. It's a challenge for me to keep up with him. The volume of things to do around here is just huge, ungodly, immense, unbelievable!" And not all that work is focused on CD mastering. 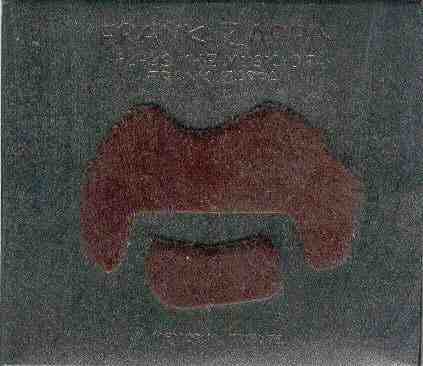 Zappa is a video fanatic who spends significant amounts of time recording, reviewing, and editing events of the day as seen on television as well as from his own life. His three "vaults" are filled with audio and video documentation of his entire career, as well as row upon row of such recent events as the Los Angeles riots (recorded on seven different channels) and the entire war with Iraq as broadcast on CNN. "It's like we're archiving the end of the world," Chrislu says. Not having been that familiar with Zappa's work before he was hired, Spence considers his lack of familiarity an asset. "I think that's one of the things Frank likes about me," he explains. "I don't come in with any preconceived notions of how things are supposed to sound. Frank says it's interesting for him to see someone entirely new take all this on. And now I'm finding all these wonderful gems that I get to hear for the first time on the mixing console and put back together myself." Chrislu has worked on the classical CD reissues of The Perfect Stranger and the London Symphony Orchestra albums, Frank's work with the Ensemble Modern, as well as rock and roll material for You Can't Do That Onstage Anymore, The Man From Utopia, and the forthcoming Lumpy Gravy, Phaze III. He says he notices a distinct growth in Frank as a composer. "Just listen to 'Envelopes' and 'Theme to Lumpy Gravy' - interesting and accessible polyrhythmic themes. The new material has evolved way beyond even that. He is always stretching." Chrislu plainly loves what he's doing. "This is my image of a utopian situation. I go to a place where I work on something different every day, that's challenging musically and creatively but also offers me the ability to put in my two cents and to have that input understood and considered and discussed. My relationship with my boss goes beyond just a working relationship. Frank never raises his voice. He's never critical or abusive in any way. Every day, while we're working, we talk about what's happening in the news, what's going on politically, what we see and what we hear, and it's just great- almost a second home." In a way, it's spoiled Chrislu for his other jobs. "Working in stereo, just plain two channels, is becoming boring," he sighs. "Now that Frank has the six channel, surround-sound environment he's always wanted, he's loving it to death, and his recent recordings of a guy playing spoons spinning around the room is really stellar stuff, really quite exciting. Got to get it around you!" 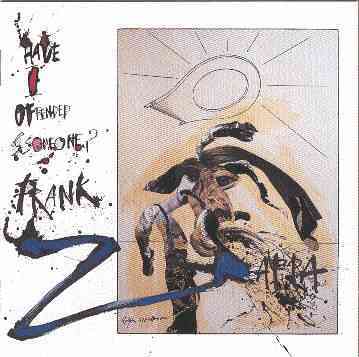 The following is an announcement Spencer made to alt.fan.frank-zappa in November of 1998. While it was sad news for most of us, we appreciated above all the positive communication with the fans, (which went a long way towards holding back the rumor mill), and of course all the great engineering he did with Frank. I just wanted to write and let you know that as of Thursday, November 19, 1998 I am no longer employed by the ZFT. I have accepted a position as mastering engineer at Precision Mastering in Hollywood and will be up and running in my new mastering room as of January 4. A: For personal, professional, and financial reasons. I don't really have the time or the patience to explain all of the reasoning behind this decision (nor do I want to be sued), but let's just say we parted on amicable terms. Q: What is going to be released now? A: As of my departure, there are more than a few CD masters finished and ready for release - many of which you already know about. As for when they will be released, only Gail knows for sure. Q: Who will do the work from the vault? A: I have offered to continue to do mastering work for the ZFT at Precision, but of course Mrs. Zappa is free to have the work done by anyone else and anywhere else. Q: Who is administrating the zappa.com web site? A: As some of you may already know, Dave Dondorf and myself have been the authors and administrators of the Zappa web site since it's inception. Dave left the Zappa employ about 2 months ago and now that I have left, I believe Gail has turned the duties of the web site over to her brother, Jay Sloatman. Q: Why doesn't the web site work? A: I don't know. It was working when I left. Q: What happens to all the hard work we put in in assembling our vault survey? Is anyone there listening to us? A: As some of you are aware, communication from the ZFT is scarce and often cryptic. In fact, I believe I am the only person at the company that has answered anyone's email over these past 12-24 months (I was the one answering all the UMRK Chefs email). However, after following this newsgroup over the past few years and knowing of your dedication and fanaticism, I did make a point of making a hard copy of the results of Jon Naurin and Bill Lantz's results from their most recent survey and handed it to Gail. I can confirm that she has read it and made some notes. In closing, I just wanted to express my thanks and appreciation to all of you who contribute to this newsgroup. It's clear to me that you people take the phrase "fan" (from the word "fanatic") quite seriously. FZ always told me that his fans were like no other I had ever or will ever encounter. I will do my best to check in on this group and I hope to be included in any upcoming ZFT project. If you'd like to write me, you can reply to the address on this post (just remove the "nospam" from the reply address). Please don't write to the spencer@zappa.com email as I'm not sure how much longer this address will be valid. Patrick, How the hell did you find my name on those Dion and Deneice Williams records? I have to admit, reading that discography made me laugh out loud! I've forgotten that I worked on most of that stuff. Now here's a challenge. See if you can find a copy of Jeffrey Daniels album that I mixed back in '87. My first foray into the R&B black music world. I'm pretty sure they hated it. Too open, too dynamic. I just remember the stunned look on their faces when they first heard the mixes. It sure didn't sound like other R&B records! 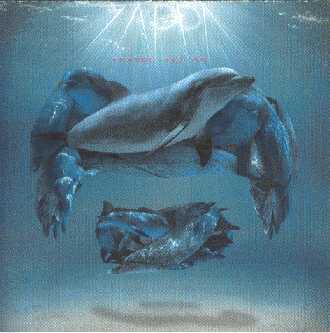 By the way, I hate that picture from the Zappa! magazine. They used a wide angle fish-eye lens that makes me look huge! But I suppose there aren't many pictures of me that have been published. I'm currently doing research, development and authoring work (as well as a bit of mastering) for the new DVD-Audio launch and loving every minute of it. 96KHz-24 bit 6-channels surround is a whole lot of fun! Also see: An interview with Spence by Addicted To Noise, Sept 28, 1996.